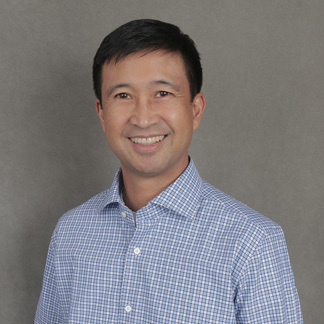 A native of Virginia Beach, Dr. Rodney Alejandro attended the College of William & Mary, and graduated in 1988 with a Bachelor of Science in chemistry. He continued at Virginia Commonwealth University School of Dentistry (formerly the Medical College of Virginia), where he was honored to receive one of the few dental scholarships offered by the U.S. Navy. After earning his Doctorate of Dental Surgery in 1992, he was commissioned as a lieutenant in the U.S. Navy Dental Corps and practiced dentistry while caring for the U.S. Marines. After fulfilling his commitment from active duty, Dr. Alejandro continued to serve as a Navy Reservist until 1998. He has been in private practice since 1995. Dr. Alejandro commits significant amounts of his personal time to continuing education and bringing the latest and best for his patients. He attends relevant, timely seminars and hands-on classes and regularly reads several trade journals. Dr. Alejandro is a graduate of advanced studies at the prestigious Kois Center, where he completed the comprehensive, nine-course curriculum involving aesthetic, occlusion, and restorative dentistry. He continues advanced studies at Spear Education in Arizona and attends monthly study club meetings with local member dentists. Dental treatments, materials, techniques, and equipment constantly evolve, and he is committed to staying current on best practices. Dr. Alejandro has been voted a Top Dentist in Virginia by his peers, as featured in the Washingtonian magazine, Northern Virginia Magazine, and Virginia Living magazine. Since he believes in the power of information and community involvement, Dr. Alejandro is an active member of the American Dental Association, the Virginia Dental Association, the Northern Virginia Dental Society, and the Academy of General Dentistry. When he’s not caring for patients, Dr. Alejandro spends his time with his wife and two children. The family enjoys traveling, skiing, and taking pleasure in good food with friends and family. Both his children are avid tennis players who compete in USTA Junior Tournaments and Junior Team Tennis, so a significant number of his weekends are spent on the road being their biggest booster. Dr. Alejandro also enjoys keeping fit and healthy.